Exploring cooking, one bite at a time. 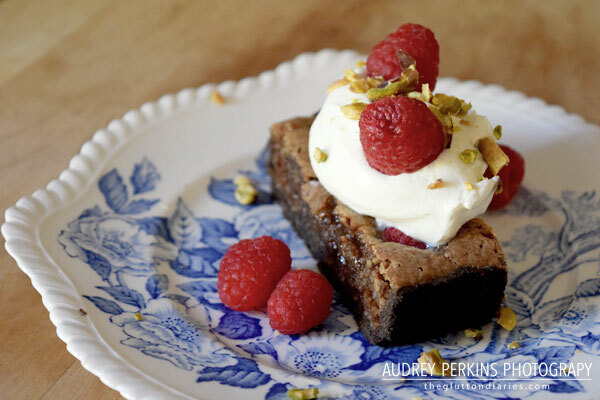 Here is the first post in my French food series! A few months ago, I returned to Paris to visit my host family and see my old haunts. While there, I had a few posts that showed you what I visited and ate. (Which you can see here, here and here.) I also hinted to launching a French food series where I show you how to make my take on French food. This will be my first post on the topic. 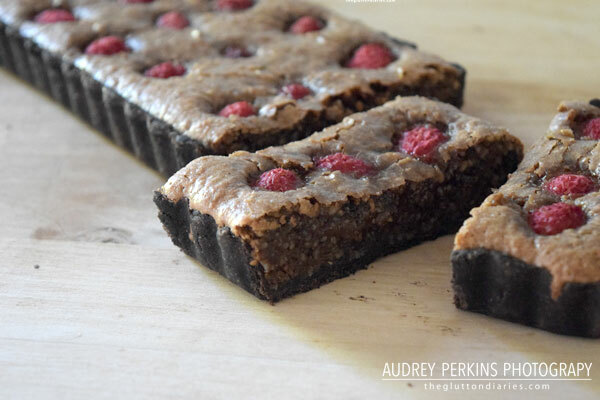 For this recipe, I wanted to use fresh raspberries and dark chocolate to give the otherwise light tart a deeper flavor. Here, I mix melted dark chocolate in the batter to give the almond filling a gooey, creamy texture. Step1: We will start with the crust. Mix all of the crust’s dry ingredients in a bowl, and then massage the butter into the flour with your fingers. It will become mealy, almost like wet sand. Slowly incorporate the cold water into the dough until it comes together. (If by any chance you choose to use an entirely all-purpose flour crust, you will need to double the amount of water.) Knead the dough ball a few times to ensure everything is well mixed, and then shape it into a flattened rectangle. (If you make a round tart, keep the circle shape) Refrigerate 30 minutes. Step 2: When the dough is fully cooled ( you do this to re-solidify the butter and make the dough easy to roll), roll the dough into a thin sheet big enough to fill your tart pan. In the end, my dough was about half a centimeter thick. Press the dough into a greased tart pan and then prick the bottom of the dough with a fork to prevent air pockets. Cover the dough with parchment paper or foil, and then fill the tart with dry beans. This will ensure the crust stays flat and even. Step 3: Bake at 400 degrees Fahrenheit for 20 minutes or until the edges have hardened and slightly shrunk away from the pan. Remove the beans and foil, and return the crust back to the oven to brown the surface of the bottom of the crust. This will be another 5 minutes. Step 4: While the crust is baking, make the filling. Heat the butter in a saucepan on high and cook it until it browns slightly. Then add the chocolate into the hot butter to melt. Mix until homogenous. Mix in the almond flour, sugar, vanilla, liqueur and salt. When fully combined, and the mix is not overly hot, add the eggs. Stir to combine. Step 5: Pull the tart shell from the oven, and reduce the oven’s temperature to 375. Pour the almond mixture into the shell and then press the raspberries into the filling. 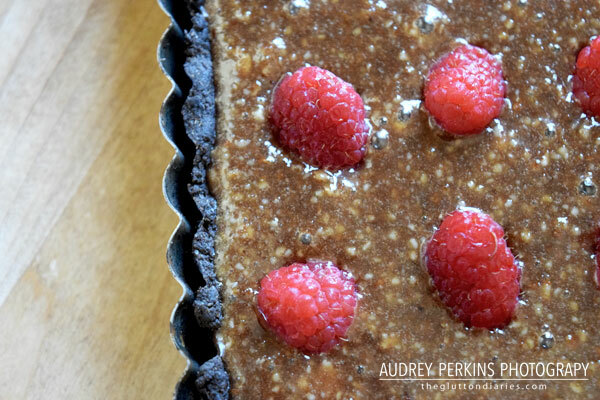 Return the tart to the oven and cook for 30-40 minutes. When done, the top of the almond filling should look similar to the top of a brownie, and it should not jiggle when agitated. Serve warm or at room temperature. Happy #internationalwomensday to all the powerhouse ladies in my life! !